...which is famous for its golden beaches, ancient ruins and oldest, richly decorated baths. If you believe the ancient historians, Ostia was founded in the 7th century BC by the king Ancus Markius to prevent the penetration of enemies into Rome through the Tiber. 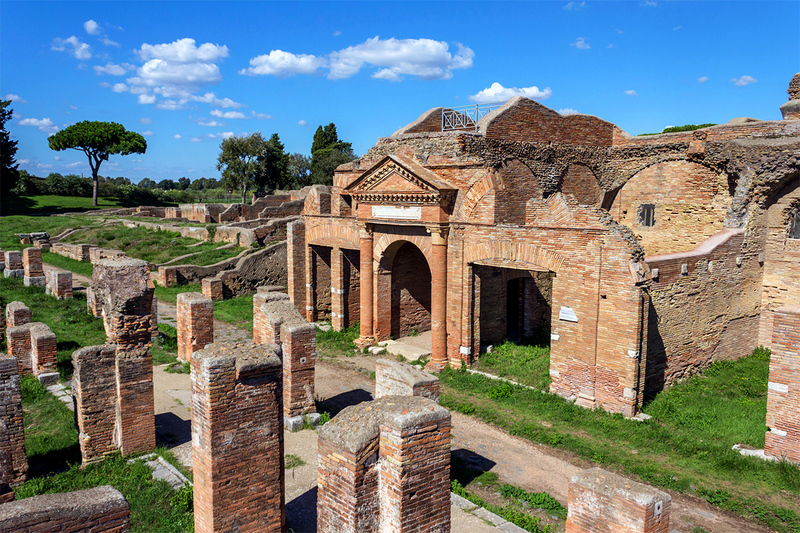 However, the oldest excavations found in Ostia and its environs date from "only" IV century BC. According to one version, this discrepancy comes from the fact that Ostia was originally only a military camp and did not have large-scale structures. 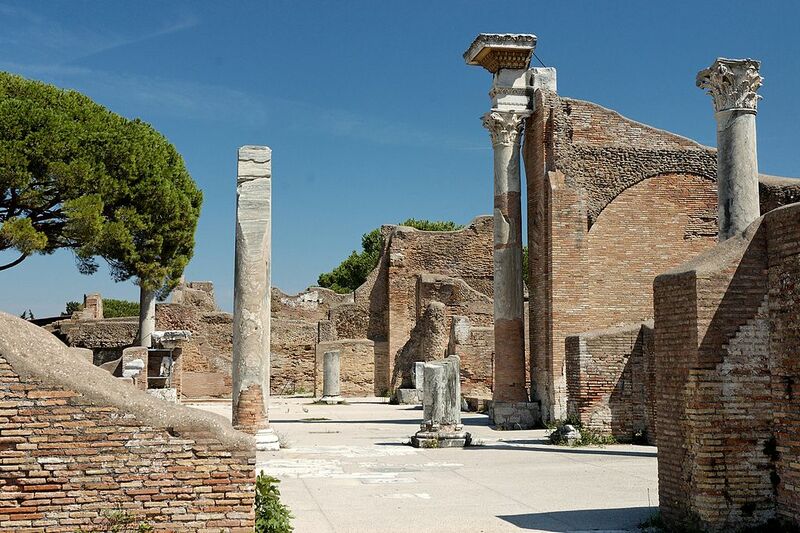 Another version says that the ancient Ostia, referred to in the documents, was located elsewhere and had not yet been discovered by archaeologists. Nyway, the seventh as well as the fourth century BC today allows us to consider Ostia almost the same age as the Eternal City. So, alikeRome, it is full of ancient sights. You can get to Antica by commuter train for just a couple of euro from the center of the capital, spending a little more than half an hour on the road. The entrance to the city can be seen at once - these are the great ancient gates, built by Cicero and Pulcher, which date back to the I century BC. Right behind them begins the main artery of Ostia-Antica - DecumanusMaximus, lined with blocks of basalt. On both sides of it narrow streets run up that hide a lot of sights: ancient taverns and hotels, temples, shopping bazaars, plots lined with marble and mosaic, public toilet and even a necropolis. Just behind Antique there is quite another Ostia - modern, relaxed, smelling of salt water and hot sand. This Lido diOstia is a cozy resort town "for your own", where you can hardly find tourists, there are no English menus in local taverns, and only Italian speech is heard on the beaches. Knowingly the Romans call this city Lido di Roma - a quiet harbor for the inhabitants of the tourist megalopolis. Unlike the ancient neighbor, Lido diOstia was founded only in 1884. At first, only peasants lived here, but exactly 40 years later, with the advent of the railway, the city became a real resort, in unprecedented demand among the Romans. It is not surprising, given the kilometers of sandy beach with a gentle entrance to the water, relatively close to the seething capital. Most of the beaches are paid - about 13-16 euro per person. This price includes a deckchair, umbrella and use of the toilet, but there are also public. People there are much more, but you can spread your towel and use for free what nature gives. A hundred meters from the sea - dozens of different restaurants of Italian cuisine, where you can eat fresh and relatively inexpensive seafood. Lido diOstia does not swarm with tourist attractions, but it's worth a visit if you want to relax from the pandemoniums of tourists and the hot stone streets of Rome, take a dip in the refreshing waves of the Tyrrhenian Sea, stroll along the waterfront, see the sand dunes and the Rybakov area with impressively cozy rustic houses. This saving oasis nearby at the Eternal City is a wonderful opportunity for one day to disperse, see and taste the real Italian life "in the outback", and in the evening to return and further win over Rome. In alleys of Naples all distinctives of South Italian life are wonderfully felt: lack of any kind of rush in narrow streets: locals in own shops, salons, pizzerias, cafés and pubs on ground levels of own houses were, it seemed to me, having carefree time. Sylvan freshness, diversity of vegetable kingdom, captivating news instead of overcrowded hotels and fussy restaurants – this is the juice of true ecotourism fans. Ironically, this kind of leisure originated in Europe, embraced with technology-related progress.